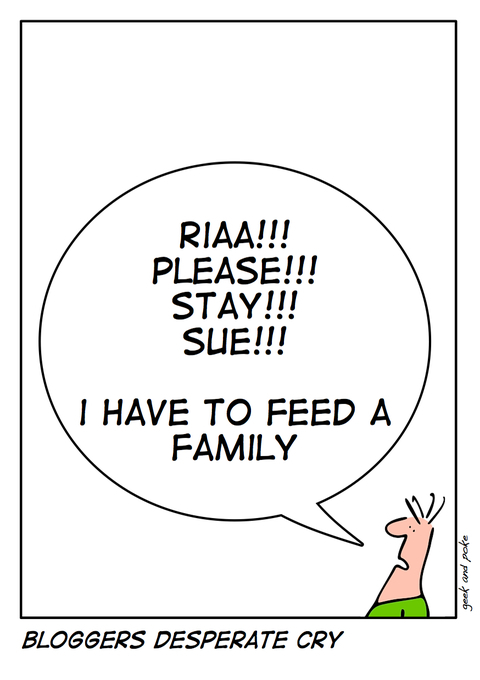 Slashdot asks whether RIAA could just disappear. After SCOs demise we (that's just me) have to act. We (that's just me) call on the RIAA and every evil in the world (major labels, patent lawyers, ...) to stay and do their duty. A world of angels needs no bloggers.